Once again each line is a contradiction of the next line and thus it goes. Can we deny the reality of something and yet be told that in doing so we end up missing the reality of it and yet to assert the emptiness of things is once again to miss the reality of emptiness! This is what I love about Buddhism and its ability to make us think about life in such a way that the frustration finally brings us to a place of giving up, a place of stopping, a place of trying NOT to figure things out. So the trick is to sit and just be still and the truth will be revealed to us in a myriad of ways. It may come from a simple Ah Ha as we are walking down the street or through the mall. It may come to us as a hug from a long lost friend or relative or from the words of a teacher during a talk at Zen—but come it will. Just today I was participating in an online book study group and the subject came up about the genius of people like YoYo Ma and Picasso and my comment to the group was “music and art comes through them not from them.” While in the midst of the playing or the painting or the day dreaming they wandered into emptiness and all came to them in some unimaginable way. They grabbed on to it and let it come through them with patience, with vim, with vigor, and with determination, or even with not knowing or not trying it just happened. They did not question it or fight it or hope for something different, they went with the flow. When was the last time you went with the ‘flow.” When was the last time you gave up the idea of being “right” or “wrong” “better” or “best” and you simply went with what was—went with the flow. You stopped talking and thinking and all was revealed to you? Remember what the Third Patriarch of Zen Seng-ts’an said, “Stop talking and thinking, and there is nothing you will not be able to know.” When you do I hope you’ll let me know what wonders appeared! 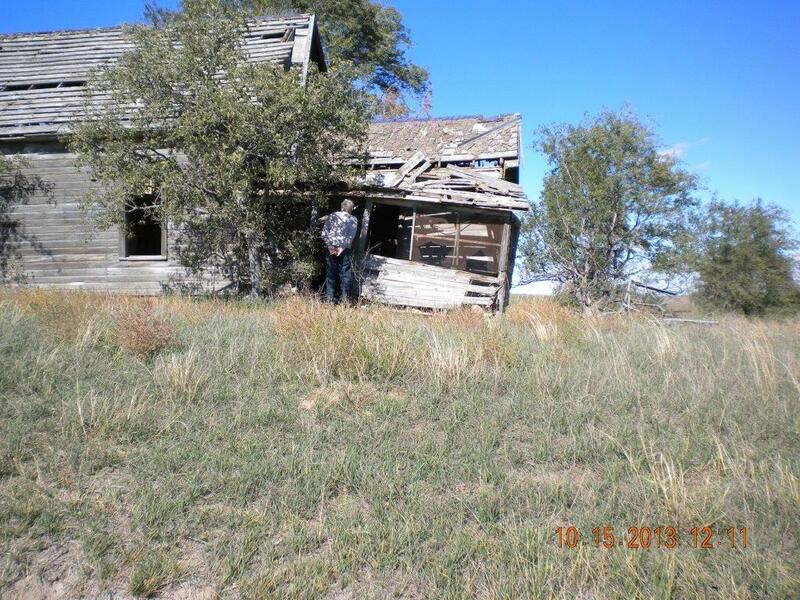 This old farm house is where my mother, Iona Louise Bird, was born in 1920 and lived in until the 1940’s in Quinter, Kansas. This picture was taken in 2013 shortly after my mother’s death by her sister Wyneta. She went there to scatter my mother’s ashes as she had requested—back to emptiness from which she came.